Browsing Category: Vests Displaying 1-1 of 1 Found. $245.00 Vest and Pants Mens Clown Costume. 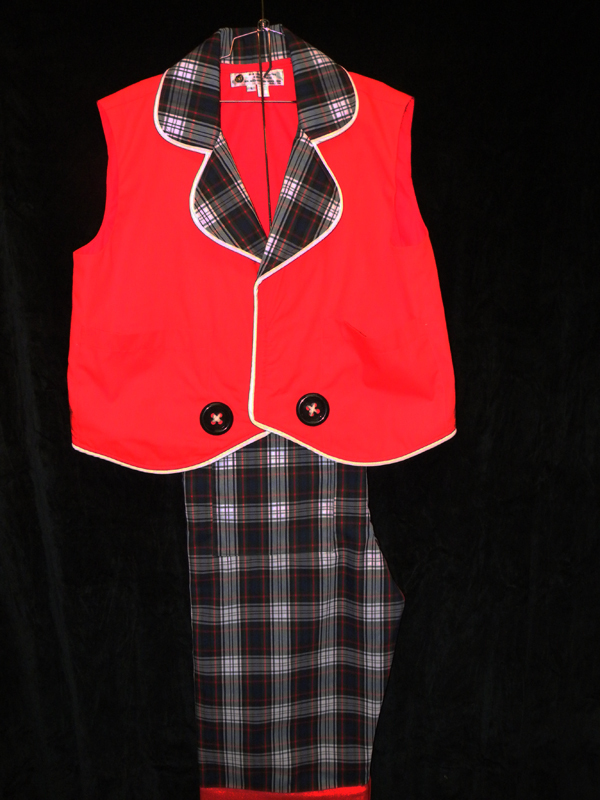 Red Vest with white piping, Plaid Pants black, white ,red. Cuff on pants red with white piping. Lite costume but fully lined great for summer work.